The name of that Hydrocortisone cream is Hovicor. That's the cream I used for my baby's face and neck rashes. 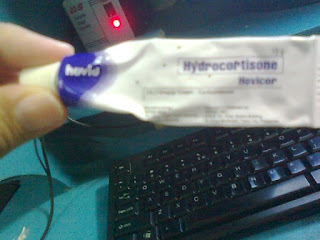 It's 15gms that contains 10gms of hydrocortisone. It is good for dermatitis, insect bites and baby rashes.